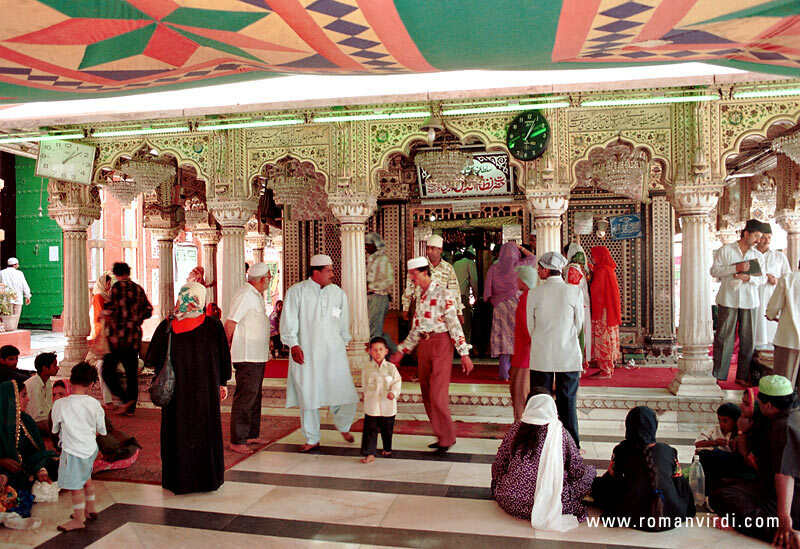 "The Muslim shrine of Nizzamudin Chisti, a saint who died in 1325, has a very strange atmosphere. The narrow paths leading to the shrine are paved with flower-garland hawkers. Surprisingly, it's no problem to take a picture here"